I knew Roger was unwell as he has been awake during the early hours with stomach problems, rushing to the toilet and unable to complete a full day of work. Roger had spent a few months (of what I knew) keeping this to himself, being a 'typical male' I suppose. 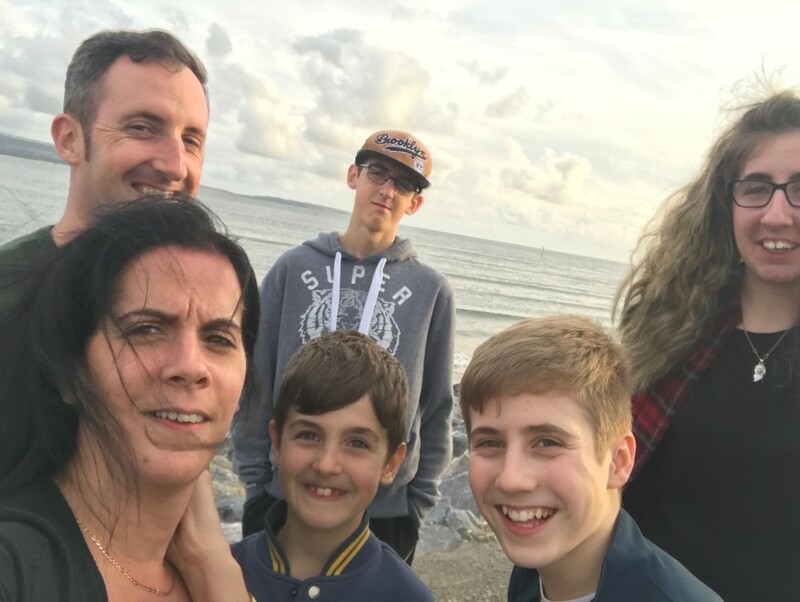 Roger used to be in the military, so we’re a family that like routine and our usual activities like going to the cinema, taking the boys to football and going out would soon be impacted more so than previously. The colonoscopy result came as a surprise to me, but then I knew it was cancer. Roger on the other hand looked as this differently, having an optimistic view. We spent many hours discussing, arguing and making up; my emotions were all over the place. On Roger’s arrival from the hospital on 31 August I knew from Roger’s dominie that the result was not good. He lead me into the kitchen where he told me. I cried with sorrow and anger and asked: “Why is this happening to me, to us? What has Roger done to deserve this? What about the kids?”. We decided to tell the kids immediately, whom for some reason appeared to respond to my call without any additional requests. The eldest two took the news like I did - immediately broke down with tears whilst the younger two just cuddled their siblings, but the next few weeks with returning to school a few melt downs occurred. Both schools were informed on their return from the holidays, with some support being provided especially as the eldest has Asperger's and is going through Sixth Form, doing her A-Levels. I feel like a single mum at times, along with being a carer. I feel like a single mum at times, along with being a carer. 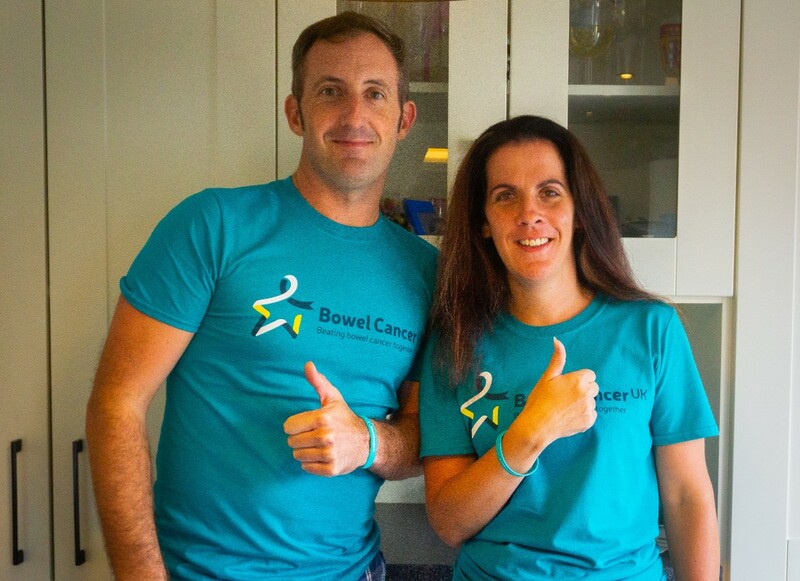 When Roger was in hospital, I had to get the kids to school, take them to after school activities, make dinner, get them to sleep – it was so hard and by the weekend I was physically and emotionally exhausted and I was near breaking point. We do have close friends that have had a cancer diagnosis; I often talk to them as they understand and I also have a blog to write about my thoughts and experiences. The blog can be quite open and honest but I believe this is the best, as so many hide their cancer journey. On the initial diagnosis, we contacted Macmillan and some other support groups. Overall, I am disappointed with their support and maybe this is down to us not knowing what we needed help with - but then why would we know what help we need? We are a family who get on with things and don’t ask for help unless we really, really have to. I can see Roger getting better, he’s getting closer to the Roger I knew before cancer. I started a blog a few years ago about being a mum whilst Roger was in the Army and we often followed him overseas. Whilst this sounds good at a glance, my life changed to becoming a 'stay at home mum' and my career and skill set changed too. In 2012, Roger left the Army and we settled in west Wales. This allowed me to start looking for work but due to having taken time off to give birth, being a mum and living abroad, finding a job became difficult. I then started a blog to help others like me but now it’s turned into one about cancer as well. 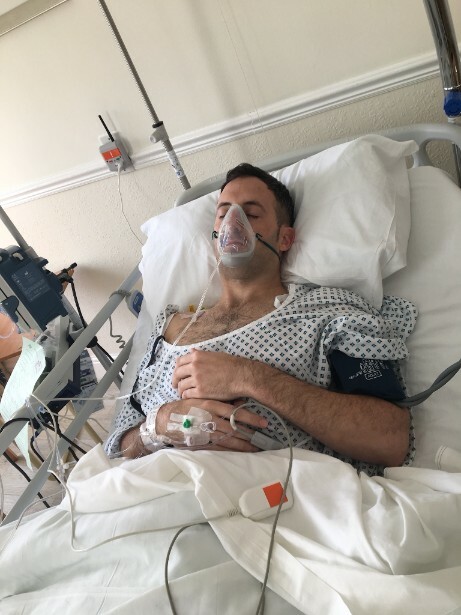 The blog helps as I write down my feelings, some family and friends don’t like this honesty and they also don’t like Roger’s YouTube videos, but I think it’s really important to share our experience to help raise awareness and help others. Cancer shouldn’t be a secret. I do get really angry sometimes, but all I want to do is take the cancer away from Roger. It's not nice seeing someone you love going through this journey. The chemo treatment is probably the hardest, knowing what it does to your body and how Roger reacts to it, whilst trying to reassure the children their dad is getting better. Strangely enough, this is making us stronger as a family, as individuals and as husband and wife. I do talk to a few others that have been through similar things as well as my mum and sister. I’ve cried loads, especially in the beginning as I felt I wasn’t in control; this is changing and we are planning for the future. You can read about Charlotte and her family's journey on her blog Wonder Mami.